While I know any home is susceptible to hard water stains, when you use well water that has a high mineral content, hard water stains seem to happen a bit more quickly. Hard water stains are created when water that is high in calcium carbonate evaporats. The water is gone but leaves small spots of white mineral content behind. Imagine those science fair projects where you make salt crystals by using salt water and a string, letting the water evaporate to create crystals. It’s like that, except instead of salt crystals, it’s calcium, and instead of on a string, it’s in such inconvenient places as faucets, glasses, and virtually any other har surfaces that comes into contact with water. There are powerful chemicals and cleaners out there that tout their ability to remove hard water spots and stains. 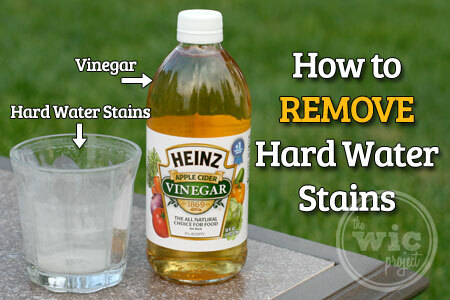 However, I’ve found that the best cleaner for hard water stains resides in your pantry – Heinz Apple Cider Vinegar. Normally I might use Heinz Distilled White Vinegar for cleaning and Heinz Apple Cider Vinegar for creating some tasty sauce or marinade. 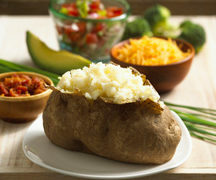 Heinz also has an Unfiltered Apple Cider Vinegar which is great for cooking as well. But since Heinz Apple Cider Vinegar is what I had, that’s what I would use. 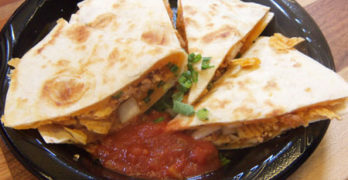 It has 5% acidity which is perfect for eating away those icky hard water spots. And icky hard water spots is what I had after finding a couple of glasses that had been left out for far too long, the contents of which had long since evaporated, leaving behind a “lovely” white film. Heinz Apple Cider Vinegar is available in a store near you and you can buy apple cider vinegar online at Walmart. You can also buy Heinz Apple Cider Vinegar on Amazon. 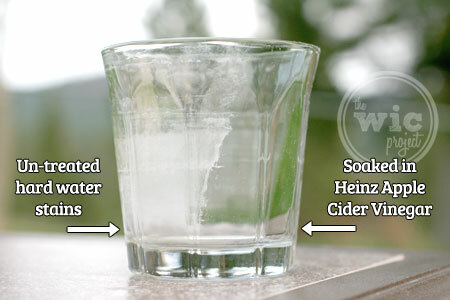 There are a couple of ways you can use Heinz Apple Cider Vinegar to clean hard water spots off glasses. First, you can soak the item in pure vinegar. As the vinegar goes to work, you’ll see little bubbles forming where the vinegar is dissolving the minerals. This is cool to see, but the more economical option is to dilute it a little. I prefer a 3:1 mixture of water to vinegar, but I’ve seen others use 2:1 or even 1:3. For glasses, I usually soak them in this mixture, but you can also use this vinegar mixture in a spray bottle to clean mirrors, windows, outdoor furniture, stainless steel, and other surfaces with hard water stains. Not only is Heinz Apple Cider Vinegar incredibly effective at removing hard water stains, but I love that it’s a more affordable and natural solution for cleaning. Not to mention the fact that it’s “multi-purpose” and can be used for cooking. For more cleaning tips and uses for Heinz Vinegar, make sure you head over to the Heinz Vinegar website and follow the Heinz Vinegar Pinterest Page. Have you tried cleaning with vinegar before? Disclaimer: I participated in a campaign on behalf of Mom Central Consulting for Heinz Vinegar. I received a product sample to facilitate my review and as a thank you for participating. In our previous residence, we had issues with hard water(toilet stains, clogged shower heads, and glasses that looked like the ones in your post). We used The Works on the toilet stains. Shower head issue could not be resolved so had to be replaced. We used LemiShine in the dishwasher(effective but expensive). We now use white vinegar instead of a rinse agent. Effective and economical. I will go ahead and check out Heinz’s website and follow them on Pinterest. I’m thinking about using vinegar as a dishwasher rinse aid as well. Glad to hear it’s effective. 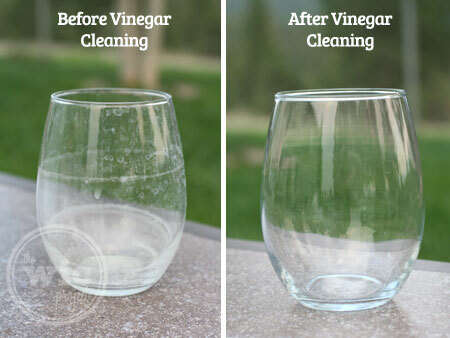 love using vinegar for cleaning. and, many people swear by taking a shot of apple cider vinegar daily for their health. A shot of apple cider vinegar? It would have to have amazing health benefits for me to take that each day, LOL! I don’t take a shot of it daily, however, it is soothing to gargle with it when one has a sore throat. Because it is acidic, one would have to be careful about ingesting it. But it is a folk remedy that has a tiny bit of science behind it. I have read that vinegar is effective in neutralizing laundry odors too. Sometimes the perspiration odor from hubby’s t-shirts doesn’t go away despite of laundering. I checked out tips online to resolve this and read that sprit zing the area with vinegar(both straight and diluted solutions were suggested) helps remove the odor. I use it as a window cleaner by making my own window cleaning solution by combining 1/2 cup non-sudsy ammonia, 1 cup white distilled vinegar, and 2 tablespoons cornstarch in a gallon of water. Ooh! I knew vinegar had a lot of uses, but this is one I hadn’t heard before! Our water is so hard that everything is hard to keep clean even though we have a softener. I’m going to try vinegar for cleaning more often. I haven’t tried vinegar for this but I have a couple of glasses that could use it. Thanks for the info. My mother used vinegar when cleaning. She always said it was good for glass because it removed the spots and did use it while cleaning the windows. I never knew it could used for so many things though. Thanks for sharing. Any kind of vinegar will work, not just Heinz. I find mine at the dollar store works very good as good has Heinz. Any kind of vinegar will work, not just name brand vinegar. I find mine at the dollar store works very good as good has the name brand. Is vinegar safe for granite? I used the apple cider vinegar diluted and when the glasses dried the film was back. Should I use straight and not dilute? These glasses are old and have been washed many times. 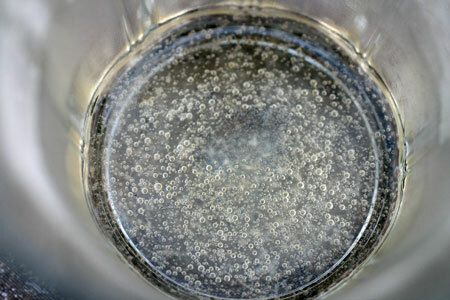 If you have been washing the glasses in a dish washer it may be that they have been etched and it’s not mineral stains. To my knowledge there is nothing you can do about this. I have those hard water stains all over my stainless steel sink including the faucet. How do you remove them? A vinegar solution should work just fine for this. I regularly wipe down my SS sink with a paper towel splashed with vinegar. If there are hard water rings or stains around the faucet or sink that don’t easily wipe off, soak a paper towel in vinegar and let it sit on top of the stain for several minutes. That, and a little elbow grease, should help get your sink and faucet looking like new! I tries white vinegar (5%) on my shower walls with no success. The only cleaning materials that kind of worked was Bar Keepers Friend with lots of hard rubbing with several applications. Maybe specific types of vinegar might work better. Could you just add some to your dishwasher along with the soap? YES! Actually, the plumber who installed our dishwasher recommended this method. You can use a small plastic cup (dishwasher safe of course), fill it with vinegar, and place it in the back of the top shelf of your dishwasher just before you run it. When I remember to do it, this trick works quite well.